Here we know about the applications of the transistor in daily life. The transistor is a three terminal semiconductor device And it is a current controlled device. Here we list out all applications of the transistor. Transistor mainly used to amplify the small electrical signal and useful in amplifying circuits. 1 What are the applications of transistor in daily life? 1.3 Why transistors are used in daily life applications? What are the applications of transistor in daily life? The transistor is a semiconductor device and its use to regulate the supply current or voltage. It can be used as a switch in electrical circuits and also use as an amplifier. so here we sort out the main applications of transistor for you. 1. Transistors are used in digital and analog circuits as a switch. 3. Cellular phones would be one of the most widely used applications of transistors. Every cell phone uses a transistor amplifier. 5. in modern electronics IC uses in almost every electronics applications. Transistors are used in building some of the integrated circuits ( IC ). 6. The microprocessor includes more than billion of transistors in each chip. 7. Transistors are used in almost every electronics devices from stoves to computers and pacemakers to aircraft. 9. The military used the transistor’s high-power radio frequency (RF) abilities in radar and hand-held two-way radios. 10. Darlington transistor pairs are often used in touch- and light-sensing devices. 11. Radiation – hardened transistor is often used in satellite and other aerospace applications. the transistor works as an amplifier in an active region only. The other two operating regions of transistor Saturation Region and the Cut-off Region were used to operate a transistor switch. Transistor is operated as a switch in only this two operating regions. When we apply the voltage at the base terminal of a transistor then switching operation is performed. When a voltage (Vin > 0.7 V) is applied between the base and emitter terminals of transistor then collector to emitter voltage ( Vce ) is approximately equal to 0. So that, the transistor acts as a short circuit and we can say transistor is in OFF condition. The collector current flows through the transistor. Similarly, when no voltage or zero voltage (Vin = 0v ) is applied at the base and emitter terminal then transistor operates in the cut-off region and acts as an open circuit. In that case, switching connection load (here LED lamp) is connected to the output side with a reference point. Thus, when the transistor is switched ON, current will flows through the load or LED to the ground. Transistor circuits are used as an amplifier circuit. In a previous article, we discuss in detail about the transistor amplifier circuit and how the transistor amplifier works ?. 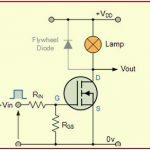 Why transistors are used in daily life applications? Solid state device So, they are mechanically so strong. By using the transistor in IC the size of produced IC is so small that it can be easily portable. The transistor is the basic semiconductor device which uses for regulating the current and voltage in small electronics circuits. Transistors are used in many amplifying circuits for amplifying weak signals. Now a days, They are used in almost every electronics devices. Cell phones contain a transistor circuit as a sound amplification circuit. Transistors are so small in size so that the size of modern IC reduced and we got benefited. They are uses in some aerospace applications also. So by the one line, we can say, because of the invention of transistor modern electronics is possible. hope you understand the applications of the transistor in daily life and everyday uses of the transistor. If you have any question related to this topic feel free to ask in a comment. 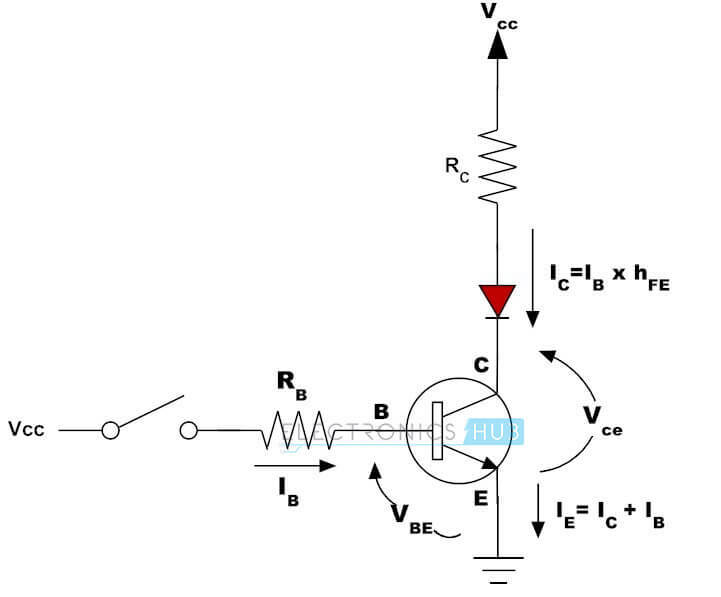 Why the base of transistor is thin and lightly doped ?